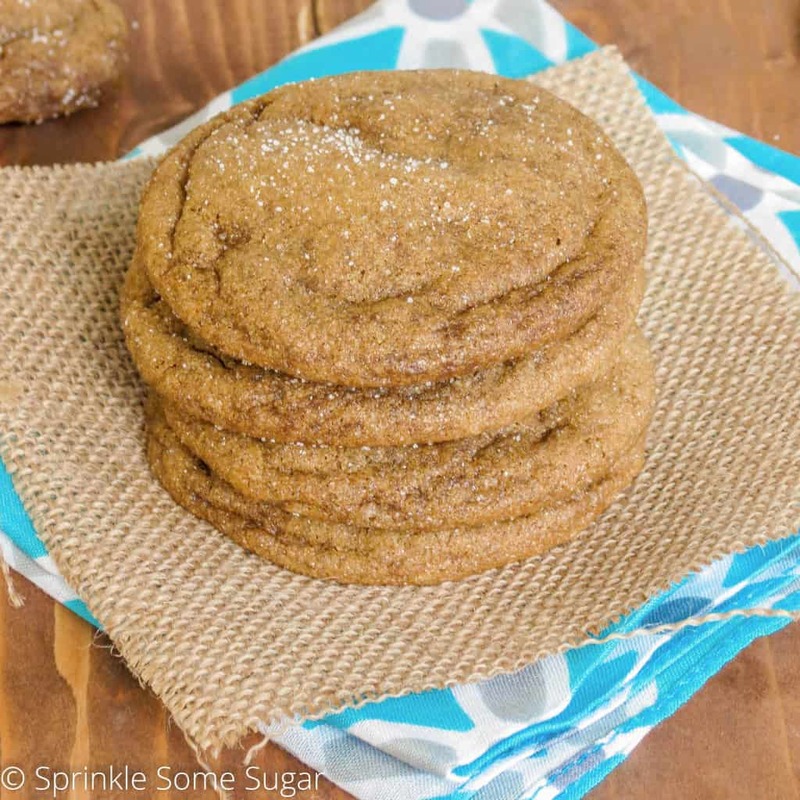 They’re soft and chewy so they’re not like your typical gingersnap, but I love them this way even better! I’m a sucker for a chewy cookie. They stay super soft for days even without covering them which make them the perfect addition to your holiday baking list! Is it too early to start one of those? I’ve got a few things on mine already because I look forward to the cookie baking every year! 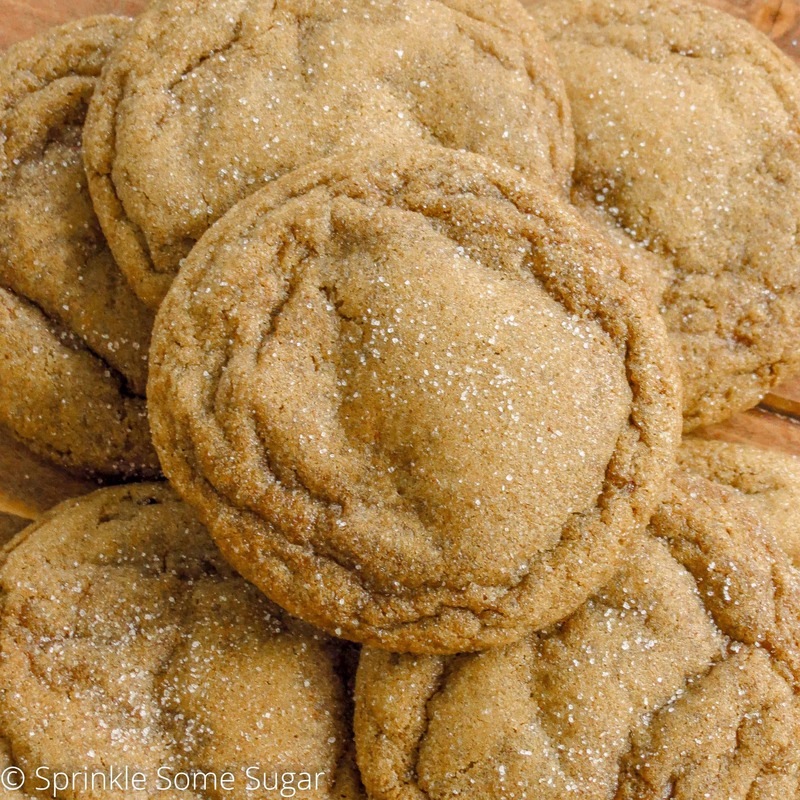 These snickerdoodles have also made the cut on my list so far. 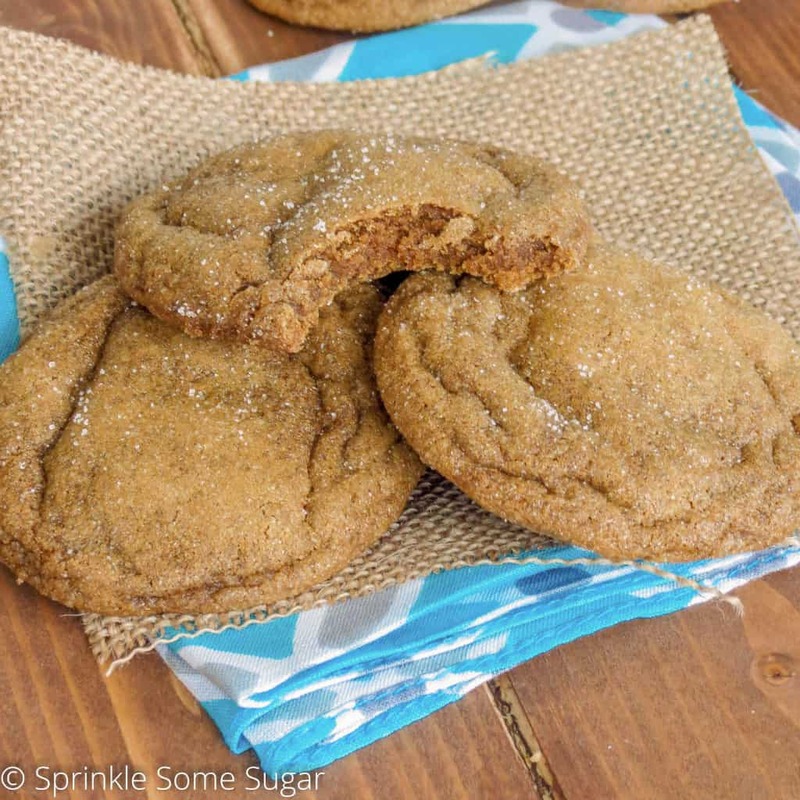 These soft-baked gingersnaps taste even better on the second day! Once the flavors get a chance to meld together, they become extra, super flavorful. Gingersnaps are so nostalgic for me. When I was younger, I had horses growing up. My parents still have them but I kind of grew out of riding because I didn’t have the time after I had my son and what not. But I remember I would always feed my horses gingersnaps! Gingersnaps and peppermints. They love them! Isn’t that so odd? Horses are the most amazing and beautiful animals. Whether you’re baking these for yourself, your family, friends or even a special horse pal, nobody will be able to resist em’! Preheat oven to 350 degrees. Line baking sheet with parchment paper, set aside. Cream butter and brown sugar together until fluffy.Mix in eggs, vanilla and molasses until completely combined. Add flour, baking soda, salt and spices and stir until just incorporated without over-mixing. Chill dough for 2 hours or over night (I usually do over night). Once chilled, roll dough into 1" balls, roll in sugar and place on baking sheet 1 1/2-2" part. Repeat this step for the rest of the dough. Bake cookies 8-9 minutes. (You will most likely need to bake two batches so be sure to place bowl of dough back in the refrigerator so it stays cold.) They will seem underdone but will stay soft as they set up. For a crispier gingersnap, bake for a few minutes longer. Allow cookies to cool on baking sheet for 10 minutes before transferring to a wire rack to finish. Soft-baked gingersnap cookies will stay soft and fresh for up to 5 days stored in an airtight container. 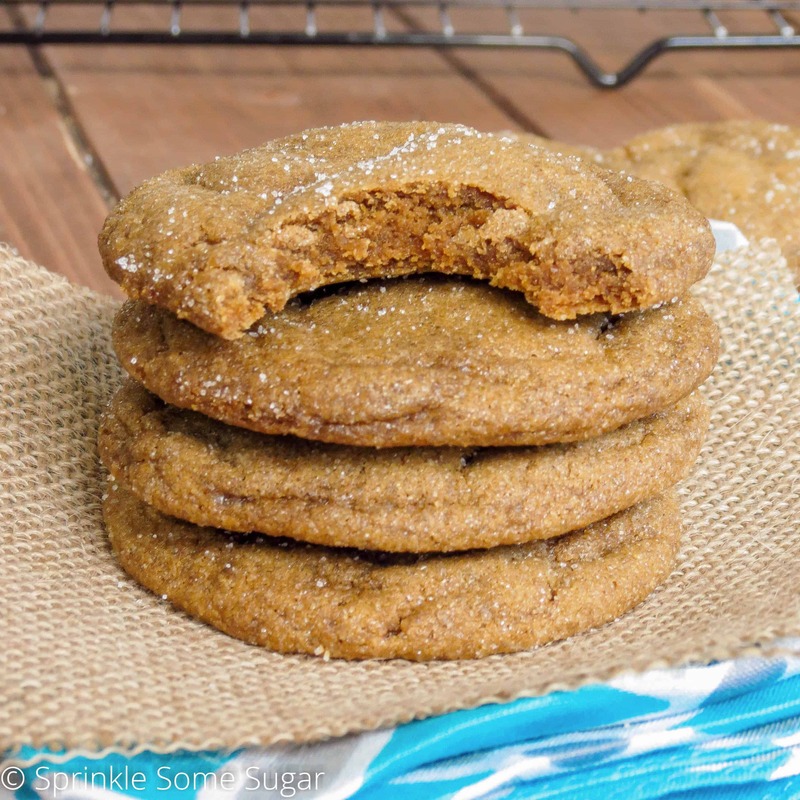 To me, fresh baked gingersnaps are one of the most ultimate comfort food cookies. Your looks so soft, chewy and full of wonderful ginger flavor. I am putting these on my holiday baking list for sure! Deliciously baked cookies! Perfect for the coming festivities! 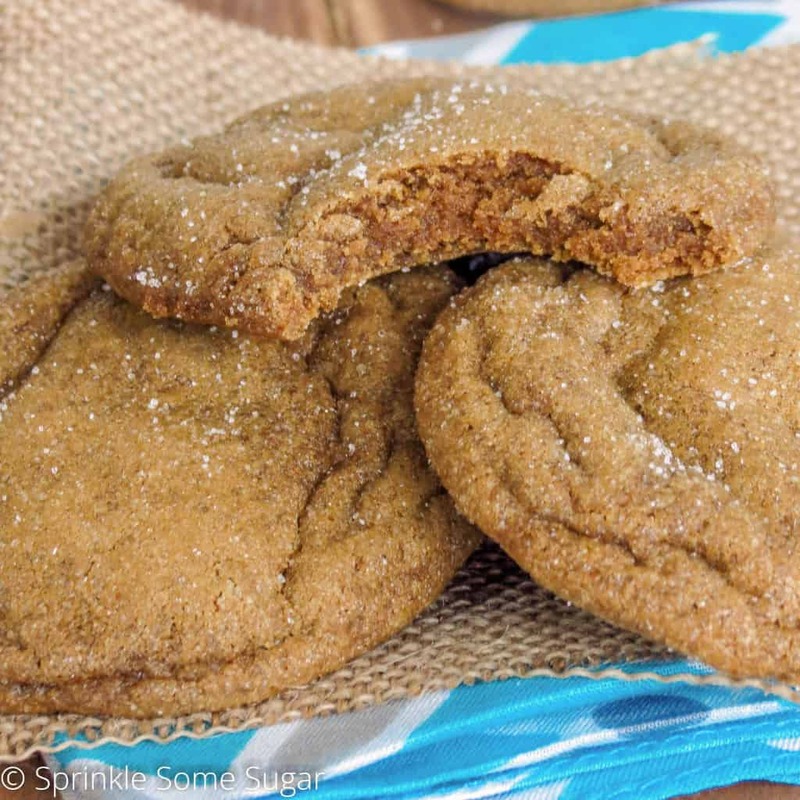 I prefer my gingersnaps chewy so these look stellar to me! These look so yummy! Perfect for the cookie tray for Santa! I love all things ginger and especially cookies. These look so good. These make me sooooo warm and fuzzy. I love soft gingersnaps. These look marvelous and wish I had my hands on some right now. Mmmm, I could almost smell the ginger. Pinning! These look delicious! I’ve only ever made the hard variety so this is on my Christmas baking list! These ginger cookies look so soft and melt in your mouth! Absolutely perfect. You described them perfectly! I just love these cookies. Thanks, Laura! So surprised this is the only way to get recipes. I am inundated with emails wanted and unwanted. They soft ginger cookies are a must have. Looks so good. These look and sound so delicious! I cannot wait to try!! Just one question – what kind of ginger is supposed to be used? A powder or the real deal chopped up? Thanks! Ground ginger (powder) is used in this recipe. I made these on Sunday and I just got around to eating one tonight (it’s Thursday). I made a few other types desserts/cookies at the time to test for Christmas so I had a lot to choose from. But to my surprise these were still soft and delicious. I really enjoy ginger snaps and gingerbread cookies but these surpassed my expectations! I may use the dough as my base for gingerbread this year and try to roll them out. Do you think that would work? Regardless they will be in my rotation for Christmas cookies. Yes! They stay so soft for days, that’s what I love about these cookies. I think using the dough as a base is a great idea, but as is, they definitely would not hold their shape as cut out cookies. Try adding an extra 1/2 cup of flour to start with until the dough is no longer super sticky. Then just treat it as traditional gingerbread dough (separate the dough into two pieces, flatten into a disk, cover in plastic wrap and chill overnight and roll out when ready to use). If you decide to try this, please share your results! I’m curious to hear how they come out!